Can you feel the shift from longer nights to equal days—and light growing in length? Can you feel a surge of clarity, energy, and levity overtaking the weary drag of winter? Spring Equinox marks when the earth has made a corner turn to a different tone. This one being the start to the astrological year and the most yang energy of the year. It’s about a refreshed sense of Self. It allows us to re-center, feel our pulse, and push forward, head first, just as new growth is pushing up from underground and chicks are breaking out of eggs. This is my favorite time of year for all cleanses to help speed up this season’s ask: that we get clear and more energetic. To-do: detox with juices; spring clean your house; wardrobe, car, and purse; exercise a little harder; get massages and hit the sauna to pull toxins out; and find time for centering with meditation and solo hikes in nature. Get back to YOU. Bold new impulse is birthing in each of us, but the more clutter we’ve managed to collect over the past year, the harder it is to recognize our fresh colors. I see the moment that spring equinox hits as containing the birth chart to what we have birthed. We give form to this over the spring and mature it over the summer, showing up both personally in relation to our own charts and collectively as a stand alone chart. Last year we gave birth to our new yearly passions with the ruler of the season, Mars, in a very pressure-centric sign. In Capricorn, our new starts were heavy and called for slow steady steps in order to reach steep goals. On top of this, 0 degrees of Aries was approximately 46 degrees south of the south node, asking that we witness blocks to our sense of Self, our identity, and our personal passion. It indicated that the year ahead would be one of uprooting, tearing down, and reconnecting to our sense of power in order to reach our most personal goals. It was a year of very tough psychological work and steep trajectories. This year’s rebirth at 0 degrees Aries feels softer. Mars, its ruler, is in the sign of Taurus. This is a much more personal tone that wants us to understand our value and to use our senses to find pleasure and honoring of life. It wants us to go slow in order to enjoy the sights and textures that give us feedback about who we are and what we love most dearly in life. Approximately 65 degrees south of the south node, the subtler trajectory for our yearly passions are about expanding into life with bold optimism and pushing our boundaries. We did some tough work last year, but now the grounds are ripe for reaching outside of our comfort zone with more confidence and hopefulness. Last year we were also under the influence of 2, a number of patience and reflection, as well as the yang earth dog who cautiously and anxiously pushed us up our big slopes. This year 3 brings an energy of fun and playfulness (even if a bit unfocused), while the earth pig year wants us to connect to the opulence of the material realm. 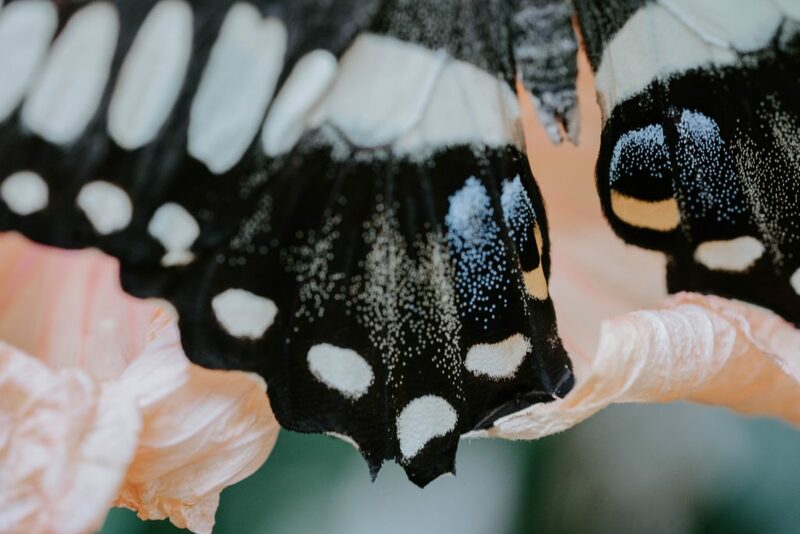 A Virgo Waxing Gibbous Moon shows a need to connect and pollinate our lives through refinement, analysis, and feeling a sense of wholeness via our daily rhythms and purpose. Chiron ‘The Wounded Healer’ will be right on top of our new spring birth this year. In astrology he’s been pigeonholed as a key to our own healing. Through dealing with a childhood wound that is re-opened, we gain some training and experience that helps us heal others. In my own chart I’ve always felt that something around this description was missing. In reading more about Chiron’s mythologies, this figure contains so much more than representing a wound we need to face. He was the mentor to heroes and princes, giving a less traditional training, although more effective, in civilized arts of language, music, hunting, and healing. He was also an oracle. In astrology he is referred to as the only civilized centaur. This also isn’t quite accurate. His lineage was different than that of a centaur explaining why he was more civilized, handsome, and had front legs like a humans rather than a horse’s. Son of a tryst between Cronus and Philyra. When Rhea, Cronus’ wife caught them, Cronus turned himself into a stallion and galloped away. Months later when Philyra gave birth Chiron came out as half horse. Digusted, Philyra abandoned the infant. To me Chiron represents an underlying trigger for needing to go on an epic journey or mission. I believe this cosmic body signifies a mentor showing up in our lives to aide in this. There may be some long buried wound that pushes us forward toward this path. In Chiron’s case being orphaned allowed him the fortune of being raised and mentored by Apollo and Artemis. He in turn became a brilliant mentor to others, which then caused a deep wound through essentially being involved in the kind of mentoring he was involved in. With Chrion newly in Aries I’ve been watching carefully for this kind of situation to manifest for my husband, with his sun in Aries. As expected, he will start a brand new journey, days after his Aries birthday, under the guiding direction of a very mentor-like person. It feels exactly as I would have predicted for what I envision Chiron to represent. Is there an underlying childhood wound that this new journey might simultaneously open and create a healing balm for? Very likely. Is it possible that new wounding will take place as he leans into a grand new path? Also likely. Knowing this in advance, would he turn this down. Hell no. Chiron is our chance to grow and develop in areas we never though accessible before. Pushing boundaries equals growing pains. I do see Chiron as a higher octave of Sagittarian energy. Possibly someday he’ll be linked as a co-ruler of this sign. With Chiron sitting atop all of our rebirths this spring, to some degree, we may all be asked to stretch our perspectives and skills. We may be asked to become a mentor or feel the presence of a mentor in our own lives. I think some cosmic messages will be sent in the form of events that will push us all to stretch and feel the presence of an epic journey ruling over the year. Pushing civilization forward and identifying as strong and pioneering are subtle themes to watch. Mercury is in retrograde in Pisces showing that our minds are deep in complexity, working in the quantum field of our intellects. Compassion, illusion, art, and healing will be thought and talked about a lot. We’ll be more open to both magic and healing in our mentalities and ideas, but also deceit and confusion. Find some grounding in your emotions to know what to trust in your mind. The Virgo Moon is very discerning, being the counter sign to Pisces, and shows our intuitions can be trusted when confusion reigns. With this full moon so tied into the equinox, it felt appropriate to tie them together in one article. From my seasonally based patterns with astrology, I see the full moon as showing which sign is entering a summer phase, similar to Cancer Season energy. A lot of insecurity arises wherever the full moon sign rules in our charts, spurring the need to nurture and grow greater security. Not unlike the roots of trees at the height of summer, feeding underground to help support all that’s growing up above. Simultaneously it shows us what we are no longer able to grow. We need to let go of these things and tend to what is naturally accepting nurtured energy. With Venus, ruler of this moon, in the sign of Aquarius, we may be asked to shed layers and old constructs in order to better nurture our relational beauty. Groups may rise up to ask for intuition to help us harmonize fairness in the world. Or, we may feel an insecurity in the world, or in our own lives, around conflict and cooperation—how to establish fair connection and diplomatic solutions. Just remember, whatever comes up, insecurity gives us information around what needs nurturing and strengthening. It spurs action for maturing things in our lives. 0 degrees of Libra is a turning point where we are weighed and measured by the outer world. It triggers some conflict as often what the world wants from us is not what we imagined offering. This is an impact point, on top of this being a Supermoon. A feeling will be big that fairness is not always beautiful and beauty is not always fair. The polarity with the sun in Aries and Chiron aligned to the sun, shows issues of trust will be present. Do you trust yourself to mentor? Do you trust a mentor coming into your life? Can you use your growing depth of trusting others to find trust in yourself? Are there wounds to your self-trust that are affecting how you trust another? Are there wounds to your identity that are triggering how the world is viewing you? Is a journey you are being called into feeling awfully bold and pioneering, sparking you to want to find nurturing in your relationships? 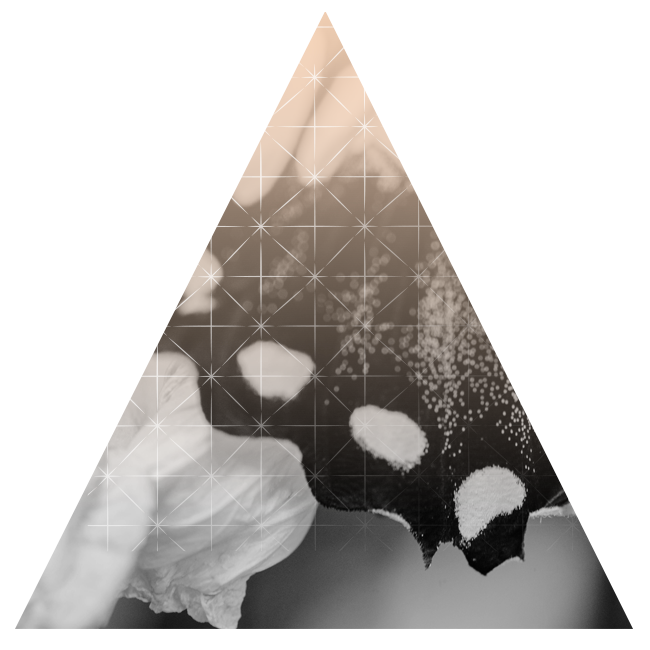 This moon will be approximately 60 degrees north of the north node, showing that a lot of connection, community, communication, or transportation could be involved in whatever we feel the need to nurture and protect. In all, today is a time to find a balance between a growing sense of self and a depth in how we find cooperation and fairness in our lives. On the ultimate balanced degrees of 0 degrees Aries and Libra, true harmonizing can take place. What is your most fair vision of life right now?